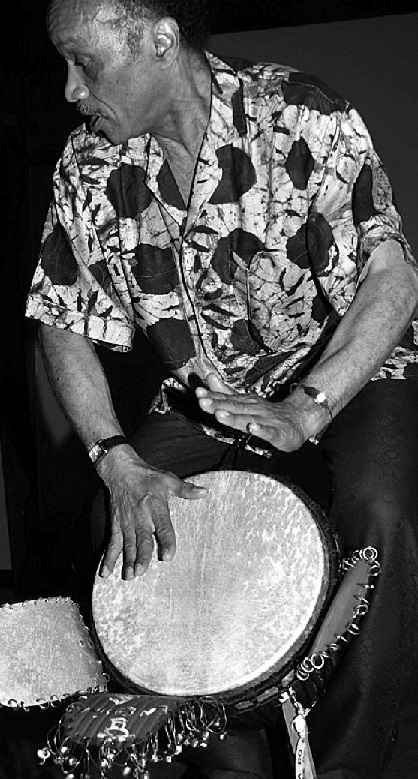 Darrell Rose, Percussionist | Center for Global Health, U.Va. Percussionist, painter, and Charlottesville institution, Darrell Rose is renowned for teaching many thousands of children over a long career as an adjunct to a long list of public and private schools in Virginia. As a drummer, he is an Artist in Residence for the Virginia Commission for the Arts and performs in many rock, jazz, african, latin, and reggae configurations. He toured and recorded extensively with Corey Harris, The Wailers, Greg Howard, his own International Counselors, Matthew Willner, The Wonderband (with Houston Ross and Johnny Gilmore), the Dave Matthews Band and Jamal Millner.